← Sackville councillors say no to more student apartments on King St.
Sackville Town Council awarded $76,500 in community development grants to more than three dozen groups and organizations on Monday, but it wasn’t unanimous. Councillor Bruce Phinney voted no saying he disagreed with some of the grants and felt that town staff should not have made the decision on which groups qualified and how much they should get. 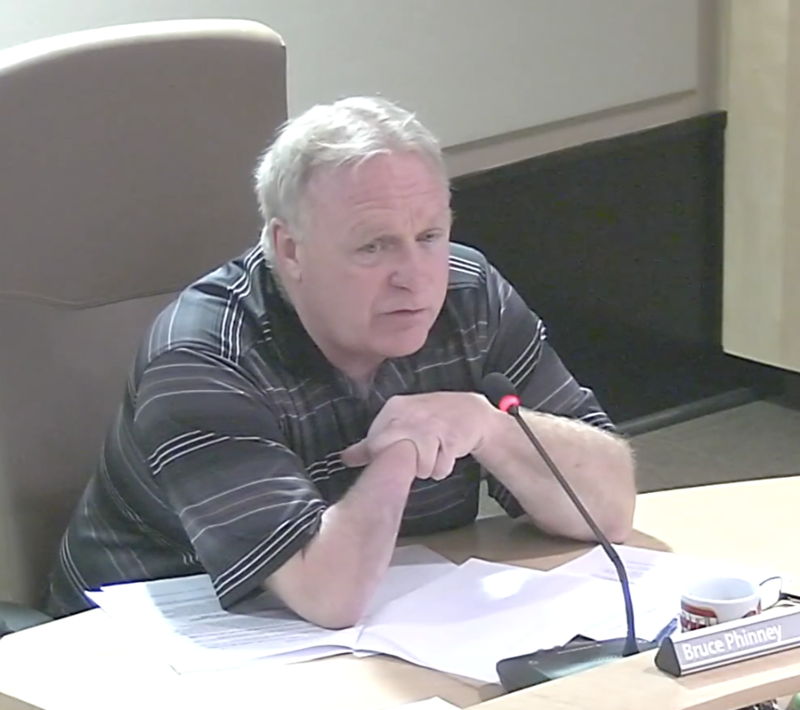 “Nothing against staff, but I really feel that actually should have been left in the hands of the Treasurer…and a councillor,” Phinney said. Phinney’s objection was not shared by other councillors who spoke in favour of the new grants policy adopted in 2015 by a previous council and first implemented in 2016. Tower also praised the new system when council first discussed the grants at its earlier meeting on February 5th. At that meeting, Councillor Bill Evans said he, too, was grateful that staff were implementing the new policy. The grants are awarded in four categories: operational grants, special events and projects grants, small capital grants that help with one-time building projects or equipment purchases and smaller sponsorship grants. The largest operational grant of $8,000 went this year to Sackville Minor Hockey with Live Bait Theatre receiving $7,500, the Sackville Skating Club, $5,250 and the Sackville Swim Club, $5,000. Rural Rides, the non-profit group offering out-of-town transportation for medical appointments and grocery shopping received an operational grant of $2,000. In the Special Events/Projects category, the largest grants went to Sappyfest ($4,000), the Centre for Artistic Achievement ($3,000) and the Sackville Music Festival ($1,200). The Marshview Middle School received a $3,000 small capital grant for improvements in a space used by community groups. Other small capital grants included $2,000 to the Sackville Golf Club and $1,500 to Sackville Minor Football. There were only two sponsorship grants, $250 to Musa Betsu-Kyu Judo Club and $250 to the Sackville Farmers Market, which also received a $1,000 special events grant. To view a complete list of 2018 grants, click here. NOTE: The 2018 grants represent 0.7 per cent of the town’s operating budget. Previous totals under the new grants policy were: $80,150 in 2016 and $76,250 in 2017. This year, town staff assessed a total of $138,980 in grant applications, awarding just over half of that total (55%). This entry was posted in Town of Sackville and tagged 2018 community development grants, Bill Evans, Bruce Phinney, Michael Tower. Bookmark the permalink. I thought that this Town was broke and had to raise taxes by a similar amount?? ?